It's a bird'¦.it's a plane...it's a '" hey, where did it go? The delightfully goofy Dork Steve has gotten himself into a pickle again. After knocking some mysterious items into a potion for alchemy class on accident, after getting drenched in the potion, he has gained the power of invisibility..
Invisibility is fun at first, until hings seem to take a grim turn. Donny Buggs, the school's biggest bully and his crew of bully foot soldiers are up to something suspicious. And the new invisible Steve is determined to find out what they are planning to put an end to it. Alex, his know it all best friend has warned him though, against remaining invisible and urges him to see the school nurse to take the potion off. According to Alex, remaining invisible can have strange side effects. Steve realizes he is suffering from some of these side effects, but how bad could they be, right? Wrong. Will Steve be able to foil the bully's plans? Is invisibility taking its toll on Steve? Just how long can he remain invisible until he gets hurt? 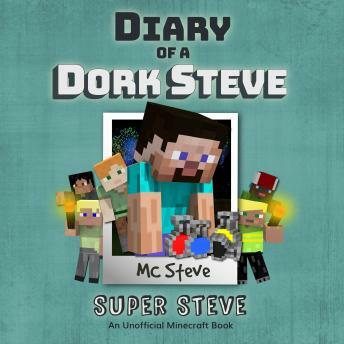 Read Super Steve to find out! This whimsical tale will have your child roaring with laughter as they engage with the story '" guaranteed to entertain any young mind, whether they are a fan of reading or not.